Save on heartworm protection and internal parasite control without sacrificing value. 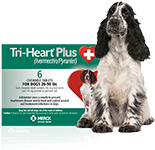 Tri-Heart® Plus uses the same molecule as the leading competitor, making it just as effective at preventing heartworm disease and treating and controlling roundworms and hookworms. 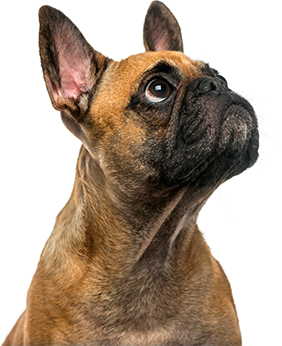 Heartworm disease starts with a mosquito bite infecting your dog with worms that live and reproduce in the heart and pulmonary arteries. 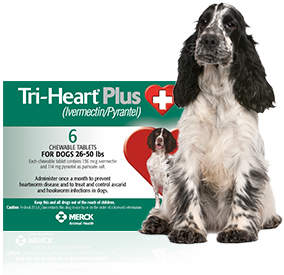 Keep your dog safe and stop the dreaded infection cycle with Tri-Heart® Plus. Provide your dog with a palatable beef-flavored chewable that provides premium protection for him and savings for you. 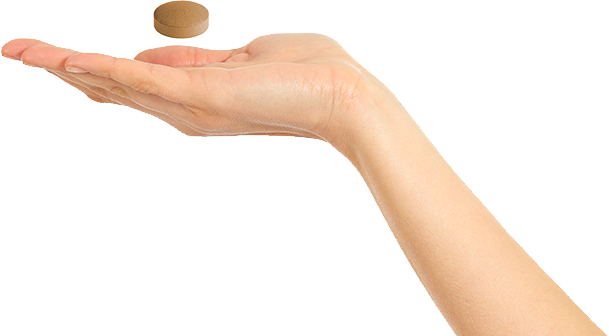 A simple and palatable monthly, chewable tablet protects by killing the larvae before they reach your dog's heart. 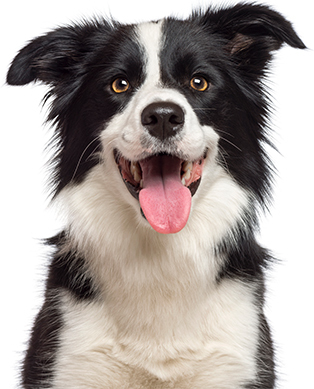 A simple monthly tablet protects by killing the larvae before they reach your dog's heart. 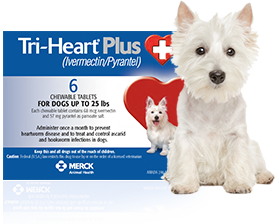 A taste test of Tri-Heart® Plus Chewable Tablets vs. Heartgard® Plus Chewables showed that dogs have no preference. If your dog doesn’t accept the flavored chewable tablet, the full purchase price of the product will be refunded. Your veterinarian simply contacts Merck Animal Health prior to commencing the tests. 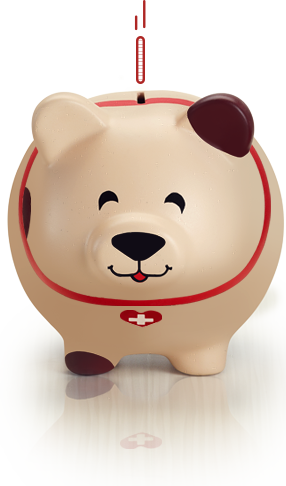 After confirming adherence to the Tri-Heart® Plus protocol and testing, your veterinary service fees will be covered by us. As long as the dose was administered within 31 days. 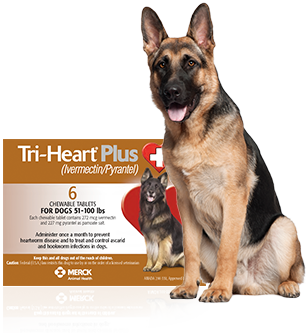 With a diagnosis of heartworms, a free one-year supply of Tri-Heart® Plus will be provided. If for any reason you are not satisfied, speak to your veterinarian or call our toll-free guarantee center at 1-800-224-5318 for replacement or refund. The same active ingredients for heartworm protection and internal parasite control as the leading competitor, but at a lower price. Please refer to Tri-Heart® Plus Prescribing Information for more detail. Average discounted price of Tri-Heart® Plus compared to Heartgard® Plus. 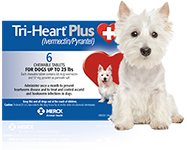 December 2016, 57-69 US Flea and Heartworm Markets, Brakke Consulting and Average price of Tri-Heart® Plus compared to Heartgard® Plus as per Price List, Merial® Brand Pet Products effective February 1st, 2017. American Heartworm Society. https://www.heartwormsociety.org (accessed May 18, 2017).